Manchester United manager Jose Mourinho is eyeing a contract extension at Old Trafford rather than considering his resignation. The United boss rubbished a report there are fears he is contemplating walking away at the end of the campaign - calling the claim "garbage" - with Mourinho instead keen to carry on beyond 2019. "If you want to speak about some news, I say, 'Garbage'. I don't find a better word to define the talk," he said. "If you want to ask me directly if I see myself next season in Manchester United, I say I see myself (here). And, as I told when I arrived, I'm going to leave when the club wants me to leave, because I have no intention to leave at all." United hold a one-year option on the deal Mourinho originally penned in 2016 and have been discussing fresh terms. From his side of the negotiations, Mourinho is eager to stick around past the initial agreement. "Yes, I see myself here (after three years)," he added. "It's just a question of the club, the board, the owners, Mr (Ed) Woodward, they are all happy with my contribution and they want me to stay beyond the end of this contract, but I want to stay. "I am in the middle of my contract, if I am going to sign a new one or no, of course it depends on the club but my commitment with the club is total and I want to stay." A commitment to buying a house in the region has not been forthcoming. Mourinho remains a resident of The Lowry Hotel - despite calling his living arrangement away from his London-based family "a disaster" in 2016 - and he now appears more at ease with his abode. "If the fans want me to be comfortable, that's the way I feel very comfortable, because I am very lazy and because I like to arrive in the hotel," he said. "I don't want anyone to be worried because I live in a two-square-metres room; I am living in an apartment inside of a hotel, where I have all the comfort, the support, where I have everything I want like I am living in a house. "So if they are worried about me being comfortable, happy and supported, I really am. If they want me in some house that I don't like, in some place I don't like, lonely from my assistants, if they want that, I would be a sad guy and a sad guy doesn't work well." 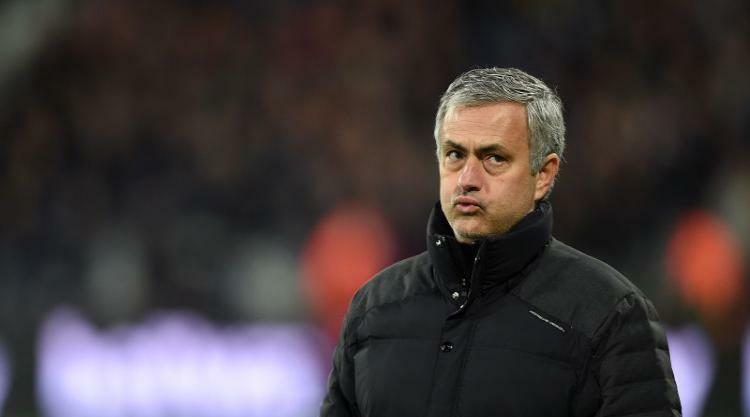 That happiness may not have always been outwardly evident this term, yet Mourinho stressed he still harbours an appetite to succeed. "Because I don't behave as a clown on the touchline, it means that I lost my passion," he argued. "I prefer to behave the way I am doing it, much more mature, better for my team and myself, I don't think you have to behave like a crazy guy on the touchline to have that passion."